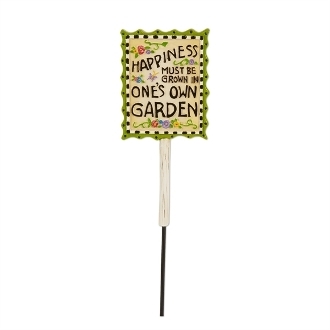 One's Own Happiness Garden Sign for Merriment Fairy Gardening. Full Description: Remind yourself to create your own happiness with this encouraging sign that reads "Happiness must be grown in one's own garden." Features all-weather paint. Made of resin with metal pick.